Home » »Unlabelled » Redneck Mom Sends Best Letter Ever To Son. This Is Priceless. 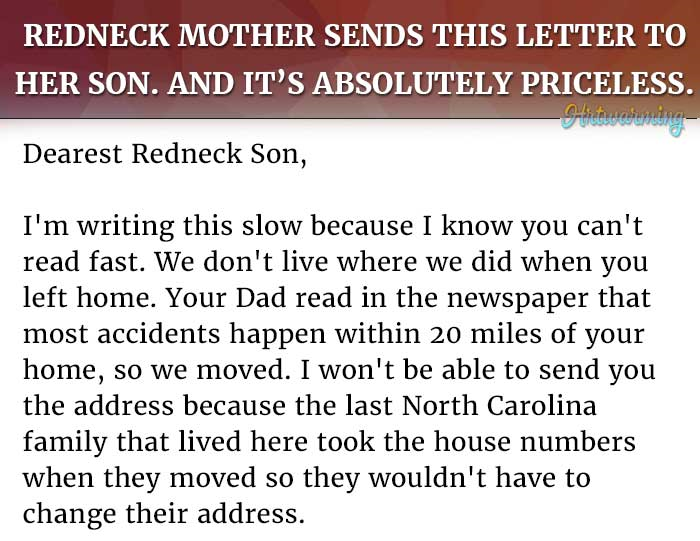 Redneck Mom Sends Best Letter Ever To Son. This Is Priceless. Do you know anyone in your life who proudly calls himself or herself a redneck? You don’t know anyone? That’s fine. 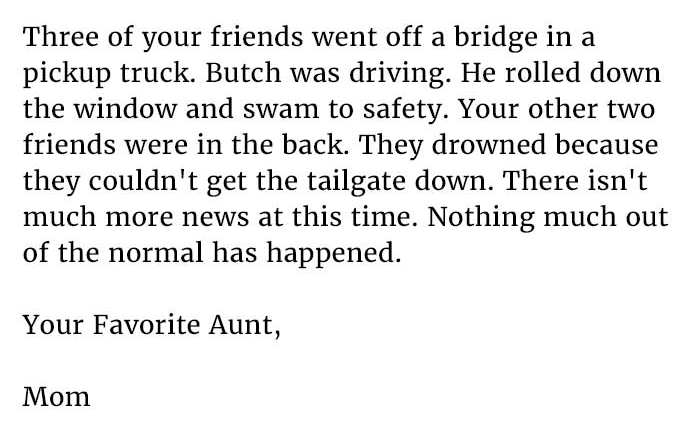 We found a letter that encapsulates everything that being a redneck is all about.